Lieutenant Colonol (Ret) Allen B. West releases his new book “Hold Texas, Hold the Nation: Victory or Death”. Texas is booming. In recent years, the Lone Star State has experienced some of the most rapid growth in the country, both in its economy and in its population. This is thanks to an influx of businesses relocating to Texas to take advantage of all its benefits. But this increase in population has also brought about a shift in the political dialogue within Texas’s borders. As more people pour into Texas, they bring with them liberal and socialist ideologies as they try to swing the state from red to blue. 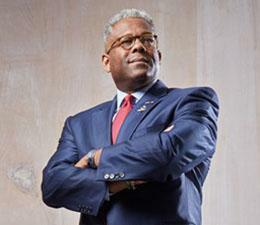 These plans for changing policies will suffocate the highly successful capitalist state and its residents, and according to Lt. Col. Allen West (Ret. ), allowing these liberal ideals to creep into the legislative branch will be the death of Texas. In Hold Texas, Hold the Nation: Victory or Death, West explains how the longstanding conservative capitalist policies within the state’s government have allowed it to flourish over the years, providing hard-to-ignore evidence and allowing his experience in Congress to support his argument. He makes his stand, asserting that Texas must hold fast to its conservative ways and resist succumbing to liberal mindsets, or else cease to prosper, and begin to perish.